Drew Barrymore has collaborated with Crocs on a new footwear collection called the Drew Barrymore Crocs Color-Block Collection. Drew is also an ambassador for Croc's "Come as You Are" campaign. The collection includes footwear for women and children. Drew says in the announcement, "When it came to designing my first ever footwear collection with Crocs, I was inspired by love, positivity and the little quirk – or quirks, in my case – that makes each of us unique. 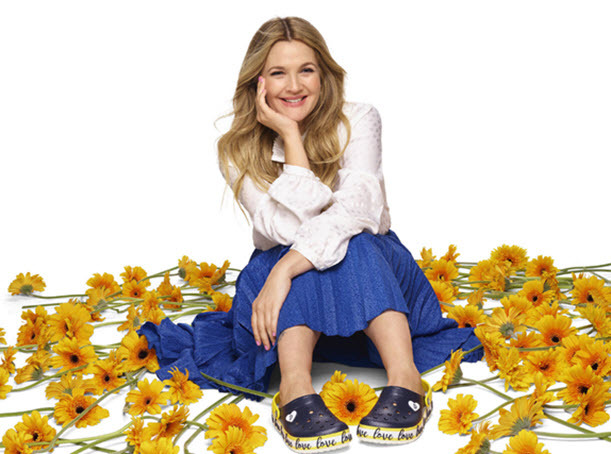 Working together on these Drew Barrymore Crocs styles was a genuine labor of love and I'm excited to share a piece of my one-of-a-kindness with the world." 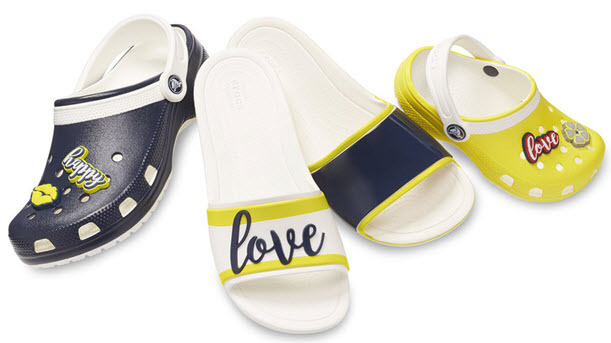 Drew's Crocs designs include black, yellow and navy versions of classic Crocs silhouettes, including the Classic Clog, Crocband Clog and the Crocs Sloane Slide. The Crocs also have the word "love" on them. You can find the new Crocs on crocs.com. Prices range from $29.99 for the children's styles to $49.99 for the adult styles. Crocs will debut a second Drew Barrymore collection in May 2018.